Narcolepsy is a sleep disorder characterized by lapsing into deep sleep in seconds, regardless of what is going on. It comes with difficult-to-manage symptoms like excessive daytime sleepiness, disrupted nocturnal sleep, and cataplexy, a condition where sudden weakness affects the body, in part or in whole. Additionally, the entire sleep cycle of the narcoleptic is disrupted. A normal sleep cycle occurs around four to six times in a night, taking around an hour and a half to complete each time. Three stages of light sleep are followed by the rapid eye movement (REM) stage, which is the deepest of the cycles. This is the stage when dreams begin and is named because the eyes begin to move quickly and randomly around, despite unconsciousness. The heartbeat becomes more irregular and the respiratory rate grows more shallow. The other significant characteristic of REM sleep is the loss of the ability to move the limbs or talk, referred to as sleep paralysis. For normal sleepers, sleep paralysis generally wears off before waking, as they move back through the nonREM stages of sleep, coming out of sleep with full use of limbs. Narcoleptics, on the other hand, skip the non-REM stages and go straight into REM sleep. Because those with narcolepsy enter into the REM stage more quickly, sleep paralysis occurs more quickly and dissolves more slowly. It may even begin while the person is still awake. Once full consciousness and use of limbs is regained, it may not seem like a very big deal, but when it is happening, it can be quite frightening, especially since the person often falls asleep too quickly to realize it is happening. Sleep paralysis usually doesn’t last very long, but for the few minutes before falling asleep or after waking up, it can be overwhelming to feel frozen and confused, unable to do anything about it. 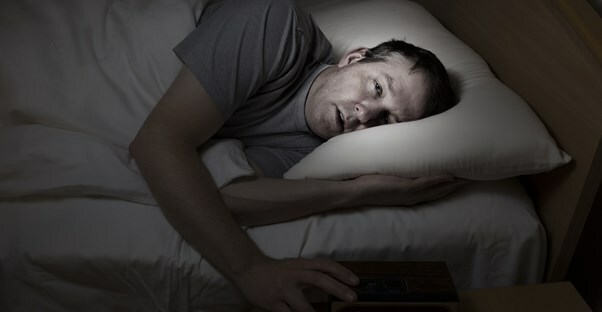 Just because someone experiences sleep paralysis does not mean they have narcolepsy, but although sleep paralysis can happen to anyone, it is more common among narcoleptics. While there isn’t any real danger from sleep paralysis, if it is happening so often that it is becoming a serious problem or feels like a significant threat to the narcoleptic, causing additional stress, a talk with a doctor or joining a support group may provide some insight or additional help in coping.